The open court needs to be a one-way street tonight. As the Thunder hosts the Denver Nuggets to kick start a stretch of 7-of-8 games at home, ensuring that this one doesn’t become a track meet is vital. Slowing down Denver into the halfcourt, then exploding out into space should be the recipe for OKC. 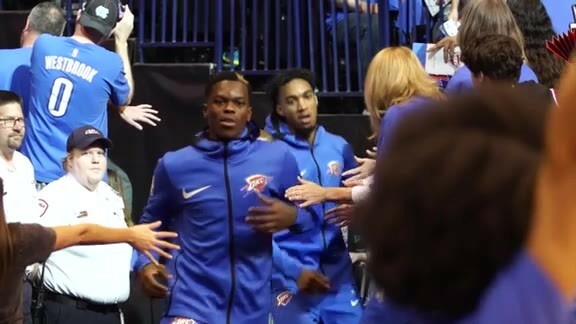 One of the Thunder’s strengths all season long has been its transition defense, where it currently sits in sixth place by holding opponents to just 9.2 fast-break points per game. Denver is a team that loves to push it, even more than the Thunder. Head Coach Billy Donovan has helped his club get to sixth in the NBA with 14.0 fast break points per game. The Nuggets are in fifth with an average of 14.9. Whoever wins that battle of the open floor could be the victors tonight. Getting out and running could certainly help a Thunder offense that is in need of a jolt. But the only way to do that is if the team plays consistent, physical and coordinated defense. Regardless of who is on the floor, the communication must be constant and players must be available and ready to help over from the weak side. The Nuggets feature drivers like Will Barton, Emmanuel Mudiay and Gary Harris who have the ability to attack off the bounce and get into the lane. That means the Thunder’s toughness and resolve at the point of attack will be critical tonight. “Realizing that you have to guard your man one-on-one is very important, but if your man does get by you, with our defensive principles and schemes that we have, make sure that our help is there to trap the box, protect the paint and being able to x-out and properly cover the next guy," Patterson said. - Steven Adams will miss his second consecutive game due to a concussion he sustained in overtime against the Philadelphia 76ers on Friday night. The Thunder is well aware of the impact Adams can have on both ends of the floor, so it’ll be a group effort to make up for the Big Kiwi’s absence. 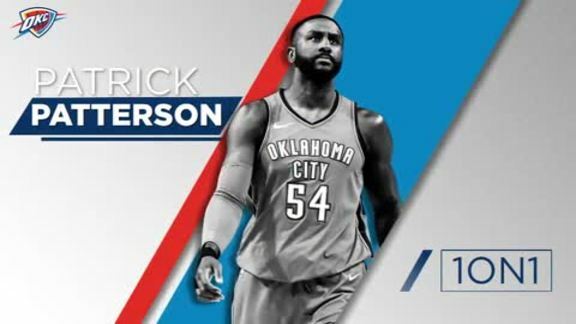 - Patterson is one of the handful of players along with Nick Collison and Dakari Johnson that will likely have an increased minutes load tonight with Adams out, and more time on the floor for Patterson could be a fantastic thing for the Thunder as a unit. It’s clear that physically Patterson has recovered from the knee surgery that ailed him during training camp. Last game against New York, he registered a season-high with 12 points and four made three-pointers. He also grabbed five rebounds, blocked two shots, made two steals and dished out an assist.